A statement posted on the consulate's website said flights by Turkish Airlines, AtlasGlobal and Pegasus "won't be possible" after 06:00 p.m. on Friday. It added that authorities were working to increase flights until then. The announcement came after the Iraqi Civil Aviation Authority (IraqCAA) said that it would seize all flights to the KRG, after Barzani refused to surrender authority of airports to the central government in Baghdad. 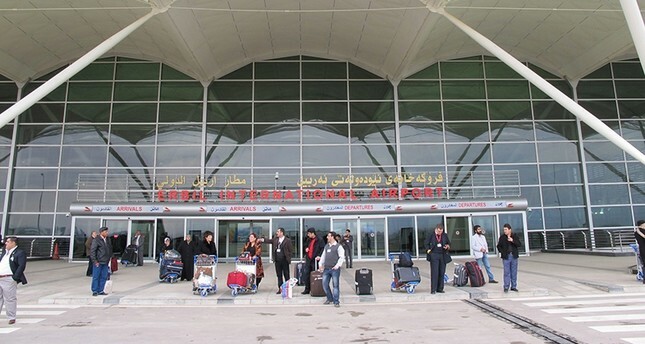 In a statement, the civil aviation authority said that all international flights to and from Irbil and Sulaymaniyah airports will be suspended. Egypt's national air carrier also announced Wednesday that it would suspend all flights to Erbil, the administrative capital of northern Iraq's Kurdish region as of Friday. "Based on a request by the Iraqi Civil Aviation Authority, all the airline's flights to Erbil will be indefinitely suspended as of Friday, Sept. 29," EgyptAir said in a Wednesday press release. EgyptAir currently operates three flights a week between Cairo and Erbil. Lebanon's Middle East Airlines, too, announced on the same day its plans to halt all flights -- also starting Friday -- both to and from northern Iraq's Kurdish region. The moves come amid mounting tension between Baghdad and northern Iraq's Kurdish region over the latter's decision to hold an illegitimate referendum on regional independence. Monday's controversial referendum had faced opposition from most international actors, many of whom had warned that the poll would further destabilize the region and distract from the ongoing fight against Daesh. "IraqCAA would like to draw your attention for the following, starting from Sep 29. 2017 at 1500 UTC, 1800 LT all flight operations to and from Irbil and Sulaymaniah airports are suspended except for Iraqi carriers for internal flights only (domestic flights) and until further notice," the statement said. Lebanon's Middle East Airlines (MEA) announced that it will suspend flights to and from Irbil airport in northern Iraq from Friday, MEA Chairman Mohammad al-Hout said by phone. "For now, we're stopping. The last flight is on the 29th, until they solve the issue," he told Reuters on Wednesday.